Hallite backups are manufactured from high quality thermoplastic polyester elastomer (TPE). This tough material is long wearing with very good abrasion resistance in both dynamic and static applications and improved extrusion resistance compared to standard urethane or NBR backups. It has high temperature capabilities up to 275°F (135°C) along with a broad range of fluid compatibility including water based fluids. Hallite also offers back ups in PTFE, polyurethane, and 90 IRHD nitrile rubber. Polyester backup rings are available coloured orange as standard. Other colours are available on request. 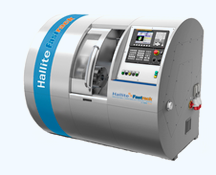 Please contact your local Hallite sales office for further information.